In 2016 Theresa May referred to the tech industry as a “great British success story” after seeing a report revealing increased investment in digital businesses across the country. Technology serves as important enabler of innovation and development, as one of the fastest growing sectors, it provides millions of jobs. But the success of the sector is not always felt by women and particularly women of colour. The statistics do not paint an encouraging picture. A Statista, market research study showed the under-representation of women across the workforce’s of eight industry giants. With Microsoft and Google, found to be struggling the most in gender, with women making up less than a third of the total workforce. Despite the barriers, three women scheduled to speak at the London School of Economics and Political Science this month, have succeeded against the odds. They have been awarded not only for their academic success but also business acumen: as owners of globally acclaimed platforms, as keynotes or as panelists talking about technology; they have been featured in many reputable publications. These women are not hidden figures. Meet Anna Ekeledo, Dara Treseder and Viola Llewellyn. Anna is the Executive Director of AfriLabs, a network organisation of over 80 technology and innovation hubs across 27 African countries. She has led the organisation to develop programmes and build partnerships that support and work with these innovation hubs and other stakeholders to raise high potential entrepreneurs that will stimulate economic growth and social development in Africa. The love for technology did not start at Afrilabs for Anna. She was involved in pioneering projects such as the Annual STEM programme for Teenage Girls for the Visiola Foundation, a Pan-African non-profit with a focus on increasing young girls and women Science. Dara Treseder, is the chief marketing officer for GE Business Innovations. This is a division within tech multination General Electric that includes the venture capital (GE Ventures), licensing, and new business creation businesses. In addition to leading marketing for GE Business Innovations, Dara is a senior advisor to the companies and leaders of GE’s portfolio of more than a hundred start-up companies. As an expert on marketing and technology, Dara has been noted for her knowledge and achievements. In 2017 she was called one of the “30 Inspirational Women to Watch in Tech” by Inc. magazine. Forbes, meanwhile, has recognized her as one of the “nine Marketing Experts CMOs. Before joining GEV, Dara was Senior Global Head of Demand Generation, FileMaker, at Apple. She has also worked as Head of Marketing and Strategy at Goldman Sachs. Viola Llewellyn is the co-founder and president of Ovamba, an award winning African financial technology company. One of Ovamba’s most appealing elements is its ability to make technologies that are attuned to the culture of Africa and serve the small and micro enterprises with innovative Sharia compliant finance products. Ms Llewellyn manages Ovamba’s implementation, investor communications, and global business development. So efficient is Viola in her work that she was instrumental in building a $500M life insurance investment fund for a Washington DC based insurance investment firm where she led investor communications, and asset management divisions. She has worked with companies such as Unisys Corporation, IBM, KPMG Consulting, BearingPoint and Rothschild. 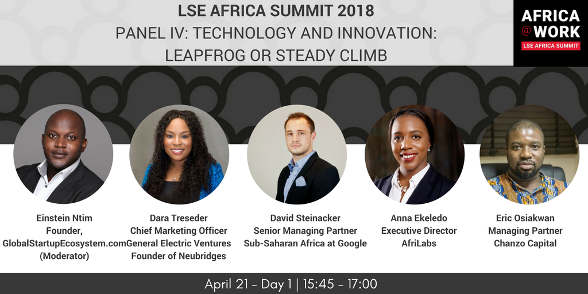 Alt-Africa.com is proud to announce that we are the 2018 media sponsor for the LSE Africa Summit.